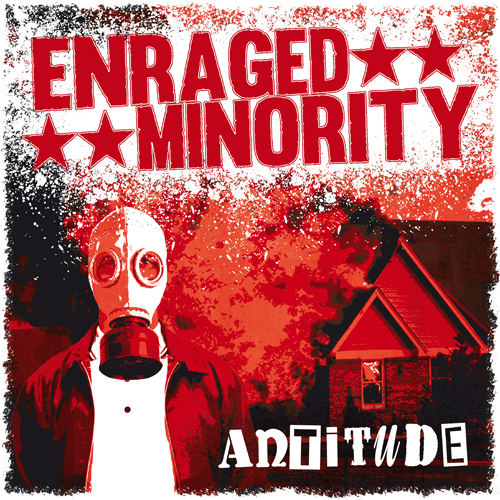 We solemnly declare that ENRAGED MINORITY has a new member! Jörg has joined the band as additional guitarist and we‘re very happy to go on as a five-piece combo from now on! We already rehearse with him since last summer and are very exited to hit the stage again! This is the offical video to our song „ANTITUDE“ from our new same-named album released in February 2014. Have fun (just like we had tons of fun) and spread the word! Directed, filmed & edited by HAM /// hot-and-mean@web.de – Cheers mate! Thanks to MAD BUTCHER RECORDS, Casual Records Music and Redstar73 Records for the support! this is the cover of our new album „ANTITUDE“. It was released in February 2014 on Mad Butcher Rec., Redstar73 Rec. and Casual Rec. as CD, LP and Digital Download. 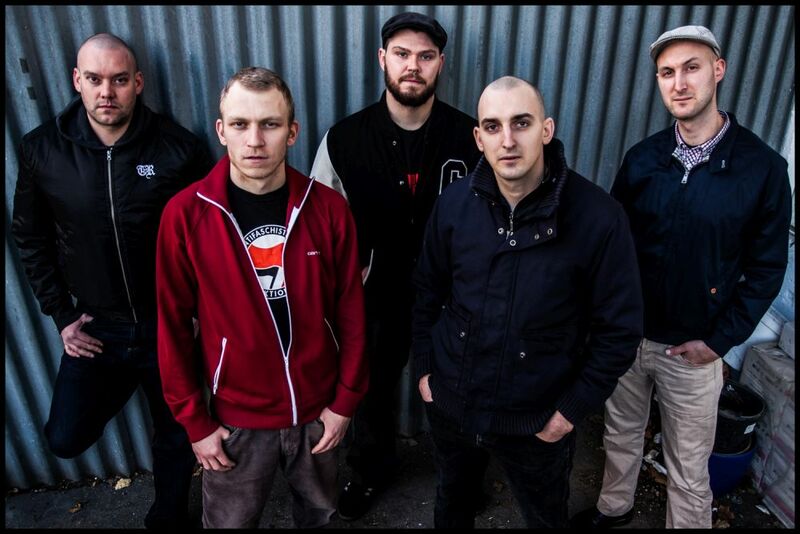 Visit our Bandcamp Page for listening. While we only played eleven shows in 2013, we did remove some blank spots on the European map by going to Barcelona and Madrid in February as well as to Moscow and Saint Petersburg in July. These were definitely absolute fantastic experiences! Because our former drummer Daniel quit in December 2012, we needed some time to find a suitable successor for this job. Luckily Oli, a good friend of us, picked up the sticks for a few weeks and helped us out by playing a couple of concerts including our 100th live show and the trip to the Spanish State. In May we finally played the first show with our new drummer Jakob. In the following months we were busy with writing news songs and preparing ourselves to record our second full length album. Then, on the first weekend of November we finally recorded 12 songs in only three days. Maybe you know that we know how to party?! On Saturday 22nd February 2014 we will wet our new baby’s head and have a wild party at the White Rabbit Club in Freiburg. 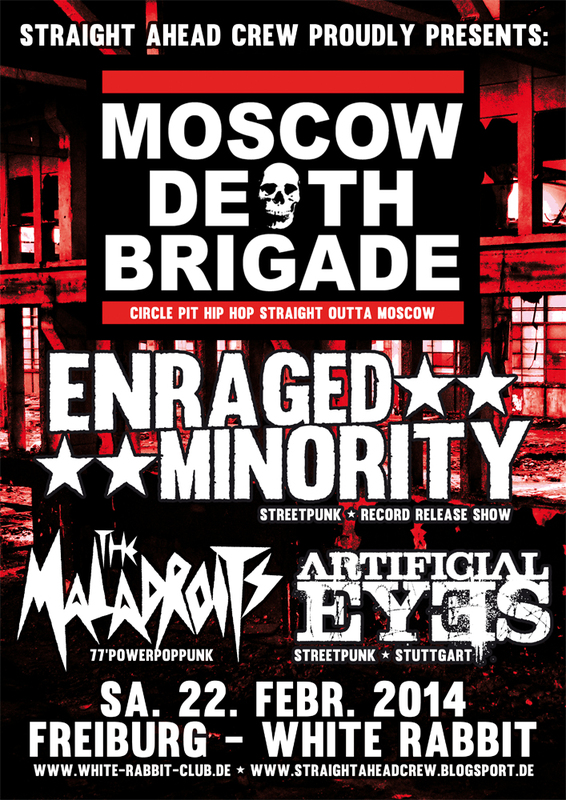 And because we‘d like to have some friends with us celebrating this event we invited the legendary Moscow Death Brigade, our best friends The Maladroits and the great Artificial Eyes from Stuttgart. Come around brothers and sisters! Du browst gerade in den ENRAGED MINORITY Weblog-Archiven nach der Kategorie 'Allgemein'.